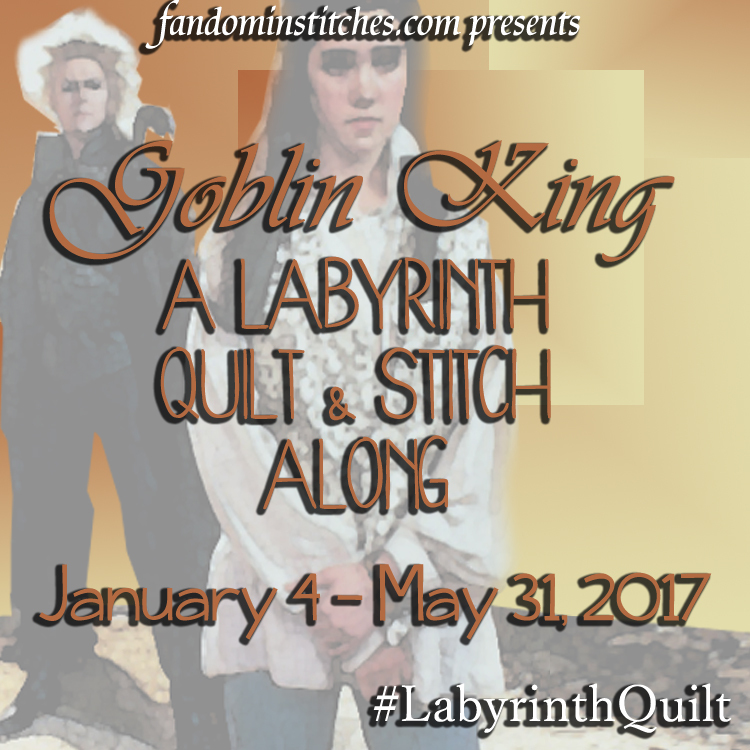 Spring Fling Blog Hop: This one is for my peeps! 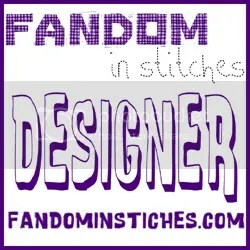 Welcome friends, old and new, to my part in Whims and Fancie’s Spring Fling Blog Hop! 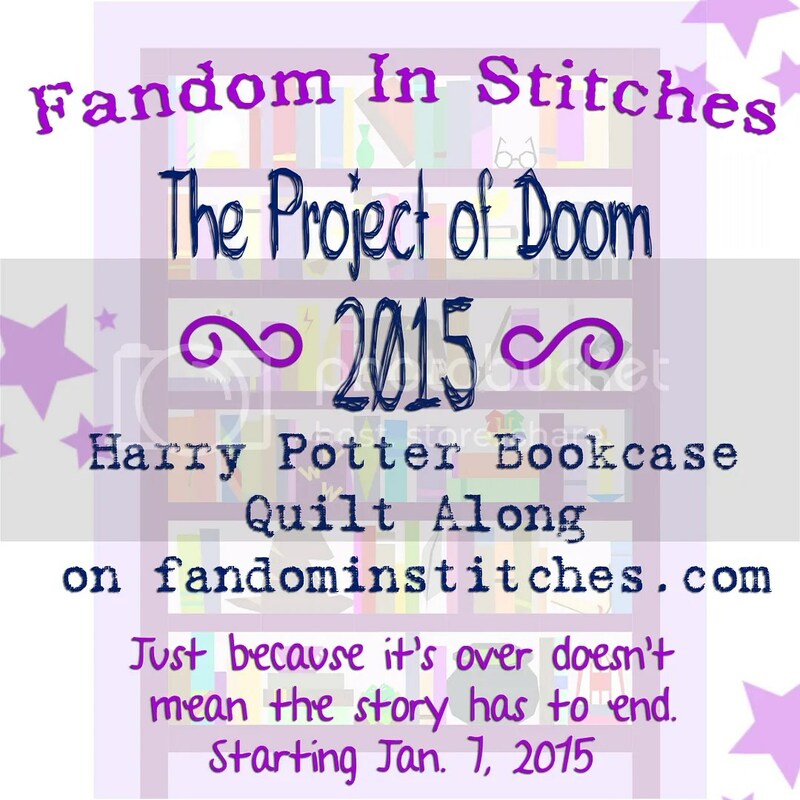 Be sure to scroll through to the end to see how to win my giveaway! When I first learned of this fun event from Soma over at Whims and Fancies, the very first thing to pop in my head was bunnies. But not just any bunnies… PEEPS! My original intention was to make just one 10″ Peep. 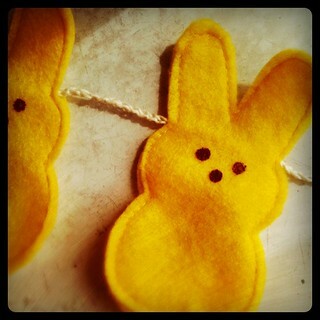 If one Peep was cute, then wouldn’t three be cuter? Three quickly turned to eight and I realized my Peeps had multiplied like bunnies! 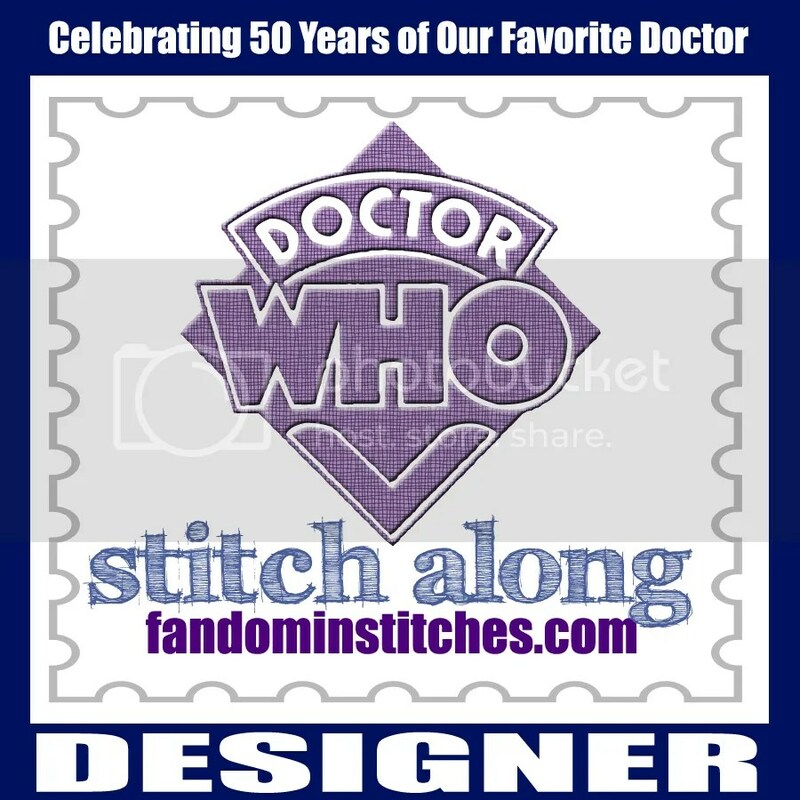 a 10″ pattern to paper piece. Instructions included for 5″ block. My Peeps got me thinking…what else has been crafted using these crunchy marshmallow treats as inspiration? Here are some of the Peep-tastic things I came across! 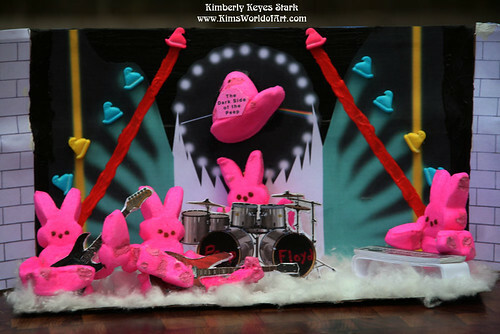 And of course, my all-time favorite band, Peep Floyd, by Kim’s World of Art! 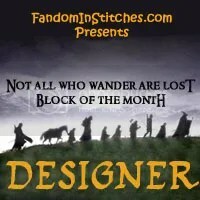 There’s even a flickr group just for PEEPS! 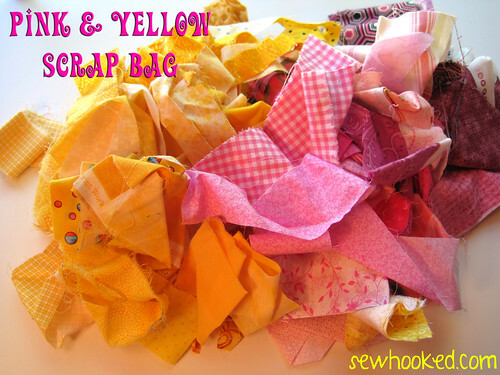 In true Peeps fashion, I’m giving away over half a pound of yellow and pink scraps perfect for paper piecing! The lucky winner can start his or her own bunny farm! All you need to do to win is comment with the answer to this question…what’s your favorite candy? 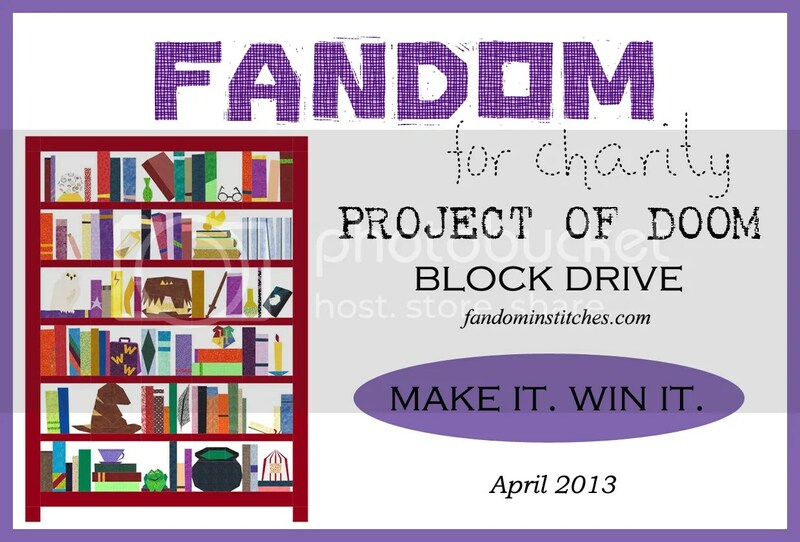 You have until Monday, April 22 to comment! 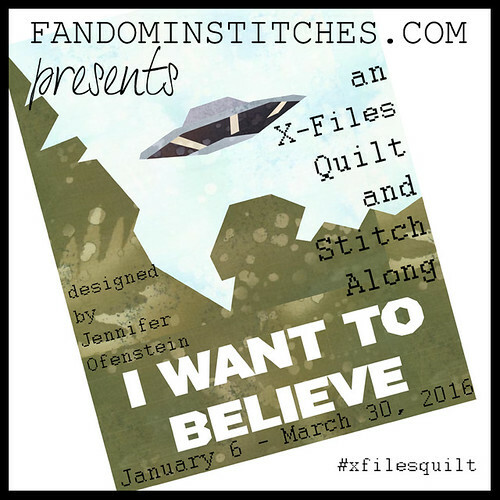 There’s always lots going on around here, check out these other events I’m part of! 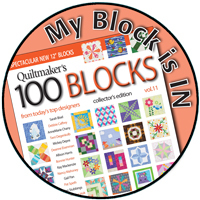 Stop back April 29 for my newest Quiltmaker contribution! 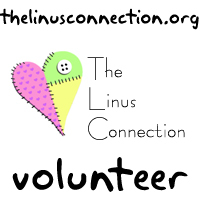 Live in the Austin, Texas area? 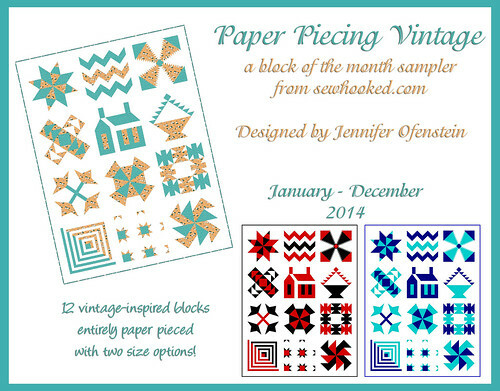 Want to learn to paper piece? where you’ll learn all the basics you need to paper piece!Just $35 per person. 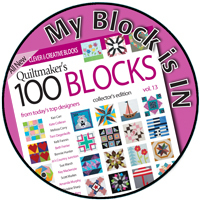 Have you made projects from patterns or tutorials from Sewhooked? Add them to my flickr group and I’ll share them here! Featured Pattern: Cross My Heart , just $2 on Craftsy! 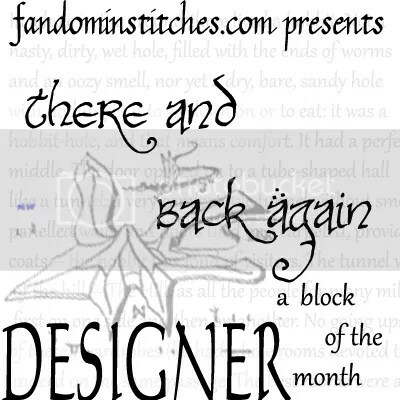 This entry was posted in Blog Hop, Spring Fling and tagged blog hop, giveaway, paper pieced pees, peeps, peeps craft, spring fling on April 15, 2013 by Jennifer Ofenstein. So cute! Thank you for the great pattern! 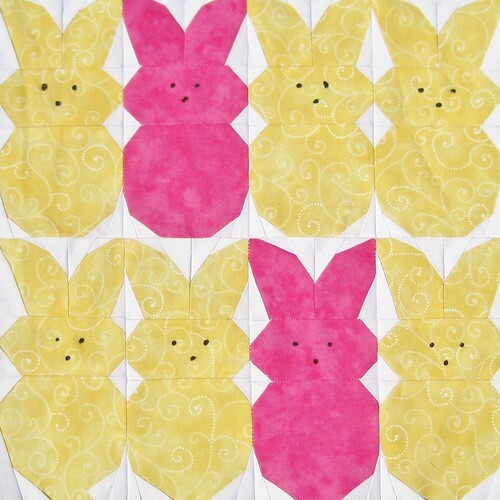 Love the paper-pieced Peeps! My all-time favorite candy are the Sweet Tart Jelly Beans. Thank God they are only sold around Easter, as I cannot be trusted with them. 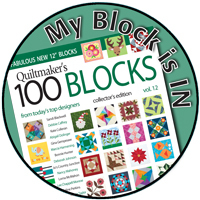 I’m making a holiday quilt or my granddaughter & needed more easter blocks. I actually dreamed about peeps for a block & here they are! 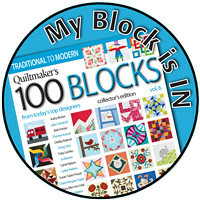 Odd that I open my email & discover the block in my dream! Thanks! I love the peeps! My favorite candies are Mary Janes. I have been eating them for as long as I can remember. When Easter rolls around though, they take backseat to Peeps. And I have to have all the different colors I can find! My favorite candy is chocolate-covered almonds! Peeps are my all time favorite. When I was a nursery school teacher, my co-teacher would buy a few packs at Easter and save them to give to me when they got stale. I love then stale, but can never keep them in my house long enough to get that way. When I can’t get my beloved Peeps (the gingerbread looking peeps at Christmas are not acceptable), I enjoy semi-sweet or dark chocolate. Jelly beans, but only Brachts. Or Jelly Belly. And only the original, not any of the newer ones. Many thanks for the Peeps pattern ~ I love them ~ not to eat but to look at! My favorite sweet? Blue Moon chocolates. They’re made right here in Portland, Oregon and are yummy! Silly Jennifer, Peeps are for me! (you know silly rabbit, tricks are for kids) LOL Thanks, I love the chance to win this scrap package. I love your pattern. Thank you. I will peep next Easter! I forgot, my favorite candy is an Almond Joy candy bar. Thanks for the giveaway! Love your lil peeps!!! Thanks for info how to make!! 🙂 Adorable!!! Love the Peeps!! Easter is definately Peeps! Especially when they are stale. Such a cute pattern and no calories–WOW! Thank you! Your pattern is SO CUTE! I have to admit, around holiday times I try to find Peeps in all shapes, colors, etc. But my year round favorite is Dove Dark Chocolate. Your pattern is adorable! My favorite candy has to be gummy bears! Thanks for sharing! anything chocolate! But the pinks are my favorite peeps! Thanks for the chance! 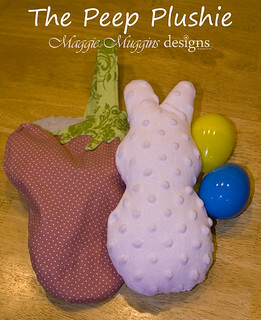 I so LOVE your PEEPS pattern! Thank you!! Favorite candy? Love the peeps when they are in season, but all year round candy spice drops:-) I hope I win and thanks for giving me the chance. Your Peeps are soooo adorable!! Thank you for sharing the pattern. I don’t eat a lot of candy but when I do it is usually covered in dark chocolate. I really like Dark Chocolate Kit Kat bars but they are hard to find (that’s a good thing). your peeps are adorable. thanks for the pattern. 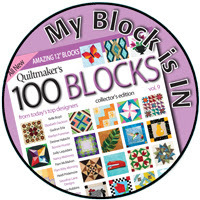 thanks for a chance to win such wonderful scraps. Love it!!! Thank you for the pattern. I love this pattern! so cute! I can picture a great Easter table runner made from these guys! I have quite a sweet tooth when it comes to candy, but my favorite is grape licorice. Hard to find, but sooo good! Thanks for the chance to win! Thanks Jennifer for the Peeps pattern. Love it. I can see it with the letters “Somebunny Loves U” on it. Mini Cadbury Eggs are my favorite, favorite, favorite. Thankfully they are not available all year! My kids are peep-freaks,but I would have to go for the Cadbury eggs for Easter and twix for the rest of the year. Great pattern! I love anything chocolate, but Reese Peanut Butter cups the best! I don’t eat sugar any longer, but my favorite candy used to be chocolate covered peanuts! 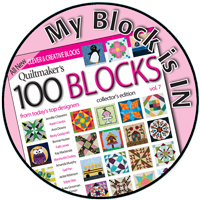 Love the pattern and thanks for the chance to win your scraps. I love chocolate covered cherries with the creme filling. I just love this one!!! 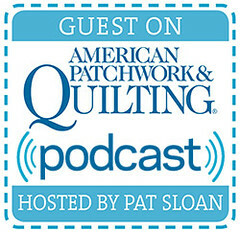 Thank you so much for sharing the pattern with us! I agree, 8 is better than 1! Cute bunny peeps – thanks. My favorite candy is turtles – those chocolate covered caramel gooey & nut sensations! Love scraps – thanks for the chance. I don’t have just one favorite candy. A lot depends on what mood I am in and sometimes what I have eaten prior to the candy. In general my favorite would be Lindt’s chocolate truffles. Oh my gosh, I love peeps! Not to eat though….. My favorites are most candies with chocolate, snickers, crunch bars, kisses…… and on and on…..
Love your pattern. My favorite is payday candy bar and dark chocolate. 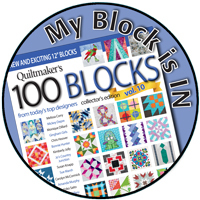 I love the pattern and the giveaway! 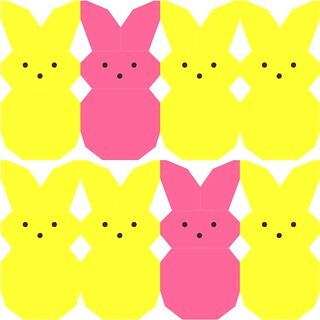 My favorite peeps are the traditional colors; yellow and pink. I love to “warm” a peep up in the microwave…watch it GROW ! ! ! I used to eat all things peanut butter but now I am happy with a simple Hershey bar or a hand full of Hershey kisses. Peeps are my favorite, but I like them best when they sit around for a while and get a little hard. In fact I just ate my peeps from last Easter and have my peeps ready for next Easter. Thank you for such a cute pattern. I love to eat Peeps! but somehow missed them this past Easter. Now I can have them smile at me all the time in my sewing room. Thanks for sharing your talent. My uncle loves peeps I think I will make this for him. Nothing beats Butterfinger bars for me! However, I never reject any other kind of chocolate. I am still chuckling at the Peeps Floyd. Thanks for sharing all that and the giveaway of course! I love Heath bars. 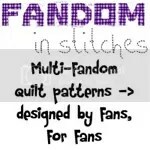 Thank you for another awesome pattern and chance at a giveaway. My favorite candy is M and M’s. Love that they have seasonal colors too. Thanks for the peeps pattern. I love to paper piece and had never seen any peeps made that way before. I like gummy bears. I tried my first peeps this year. It was super hard but very tasty! I love Cadbury Carmel eggs. Your bunnies are cute. I love gummies…any gummies really, but peach rings are my absolute favorite. Ok, now I’m hungry, lol. My favorite candy is anything chocolate. Thanks for the chance to win. Your peeps are adorable. I think I will have to try that, just for fun. i discovered, this Easter that they have combined 2 of my favourite candies. They now make CHOCOLATE-COVERED PEEPS!!!! Hi Kate! You are my Spring Fling Blog Hop prize winner! 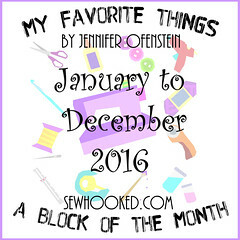 If you’ll send your mailing address to sewhooked@gmail.com, I’ll get your prize in the mail to you! Are there written instructions for the Peeps block. 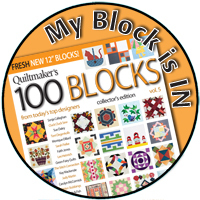 I’m new to paper piecing and not sure how to begin. 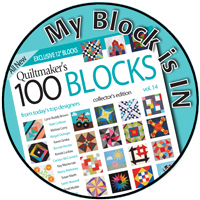 I would like to make a block but I am unsure of the measurements to cut the fabrics. Any help would be greatly appreciated. Thank you so much Jennifer. The video explained a lot. I ready to tackle the peeps.